The primary hazards in craft distilling are fire and explosion. Fire can occur when vapors from flammable organic compounds such as ethanol are released from leaks in tanks, casks, and equipment such as transfer pumps, pipes, and flexible hoses. Dust from processing grain and combustion from wood floors, casks, and racks can also cause fires or explosions. A vapor explosion can occur if enough vapors are released in an enclosed space with ignition sources present. Hazardous chemicals – Cleaners, chemicals for mash pH adjustment. Air contaminants – Byproducts of mashing and distilling. 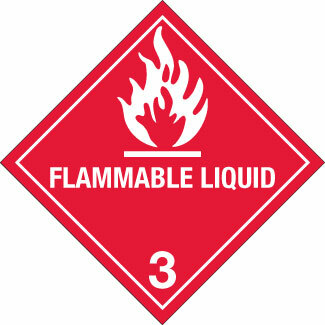 Physical hazards – Noise, pressure in distillation equipment, boiling liquids, and hot surfaces. Ergonomic risk factors – Working in awkward postures, lifting excessive loads, and repetitive activities. Electrical hazards – Electrically fired boilers and ignition sources. Brewing hazards – Carbon dioxide and sanitation chemicals. Confined spaces – Vats, tanks, and vessels may be permit-required confined spaces. Never leave a still unattended. Keep the distilling area well ventilated so that vapors will not build up if there is a small leak in equipment. Charge the still boiler with wash at alcohol concentrations below 40 percent. Charging the boiler with wash higher than 40 percent creates an explosion risk. Keep the distilled alcohol receiver at as low a level as possible, which can reduce risk of a spill if the container tips. Use a receiver that has a small filling opening, which reduces the vapor escaping into the room and saves alcohol. If a fire occurs at the receiver, it will burn at the small opening and can be easily controlled. Place the receiver in a large, nonflammable, ethanol-resistant container, which can control an accidental overflow. The container should be capable of holding at least an hour’s worth of output if the receiver spills or leaks. Dilute alcohol before storing it to lower its flash point.